ViewScape undertake 3D laser-guided point cloud surveys of structural interiors, delivered in .xyz format to import directly into your CAD software. 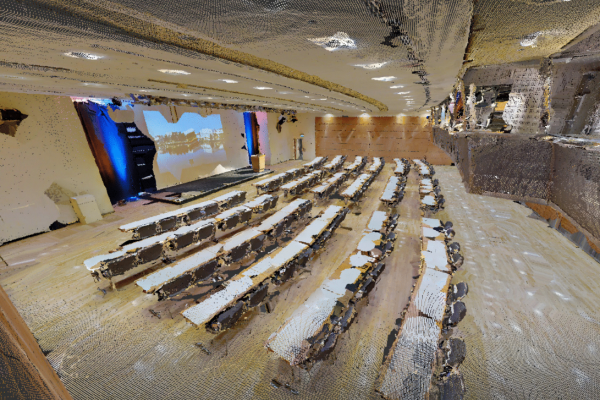 We work collaboratively with architects, interior designers and refitters, Virtual Reality and CAD engineers to capture detailed 3D point cloud data of existing buildings, for a range of different uses and workflow efficiencies. We conduct point cloud surveys throughout the UK from our offices in London, Reading and Bournemouth. Point clouds consist of many dimensional data points which together form a highly accurate 3D representation of an existing interior space. The scanning process also captures RGB colour data which can be applied to the point cloud. We typically deliver high quality point clouds in .xyz file format, but can also provide .obj format if required. Our clients use point clouds for purposes including interior redesigns and refits, CAD visualisation of extensions or renovation projects, and detecting structural issues which are not picked up with visual surveys. Point cloud surveys for Architects capture the dimensional, texture and colour data of existing properties which can be imported directly into your existing CAD software. We work collaboratively to integrate surveys into existing workflows, allowing you to start with the existing structure before planning alteration works. If your project requires additions, alterations, extractions or annotations of existing properties, laser-guided 3D point cloud scanning the internal provides an accurate .xyz point cloud and a 3D model in .obj format, both with RGB colour data. Surveys fit around your project timeline. 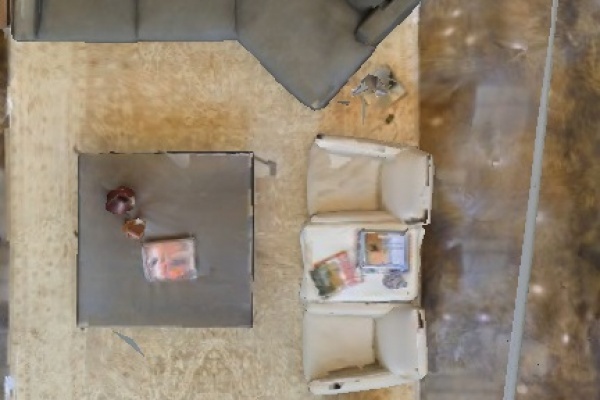 Point clouds for interior designers allow you to start with an accurate model of the existing interior structure of your project within your own software, complete with RGB colour data, before you begin your design or redesign. We’re experienced working with residential, commercial and retail designers. 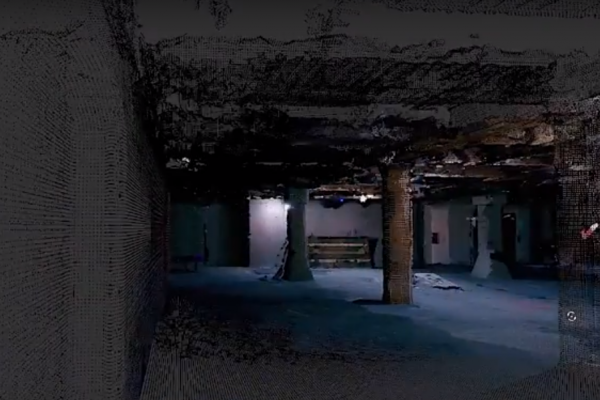 We create virtual reality environments based on existing real world locations with a point cloud survey of the building, as well as providing data to VR developers for their projects. Import either the .xyz or the .obj, both with RGB colours included, to your existing software and build from there! Let’s discuss your project and requirements, we’ll establish whether point clouds or .obj files are suitable for you and provide a no obligation quote.